Teri Banholzer has been a Sr. Mortgage Advisor for Mason-McDuffie Mortgage Corporation since 2007. 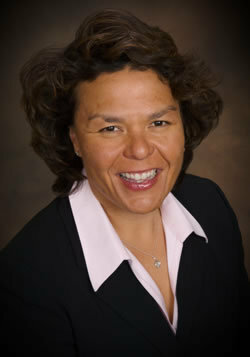 Previously, she worked for The California State Fund as their Research and Development Manager. Then after taking some time off to have her daughter, in 2002 she returned to the mortgage industry that she worked in during the early 90’s. Teri’s success as a Loan Officer is supported by her excellent communication skills, combined with a passion for helping her clients work through one of the most important financial transactions that they will make in their lifetimes. Teri graduated from California State University, Chico with a B.S. in Business Administration. She has continued her professional education and holds a California Real Estate License as well as a National Mortgage License. Teri lives in Pleasanton with her husband John and their daughter, Sarah. When not working, Teri spends time with family, volunteering at her daughter’s school and school district, volunteering for the Leukemia and Lymphoma Society and training with the Team in Training’s East Bay Triathlon Team.